I grew up with Le Morte d’Arthur and loved John Boorman’s EXCALIBUR in all its shiny, over-the-top glory. I’m also a fan of Robin Hood, and have loved most of the various interpretations we have seen (John Irvin’s ROBIN HOOD being my favourite). After all, diversity is the grist of mythology. Classic tales should be refreshed for new audiences, just as bards have done for centuries. So, when I saw rumours of a new take on the Arthurian tale, I was intrigued. When I found out that Guy Ritchie was directing and co-writing, I knew that the resulting film would either fly like an eagle or fall like a lead balloon. You can say what you like about Guy Ritchie, but you cannot deny he does films his way regardless. I’m not a big fan of his work, but every film deserves to stand on its own merits, not the reputations of those involved. 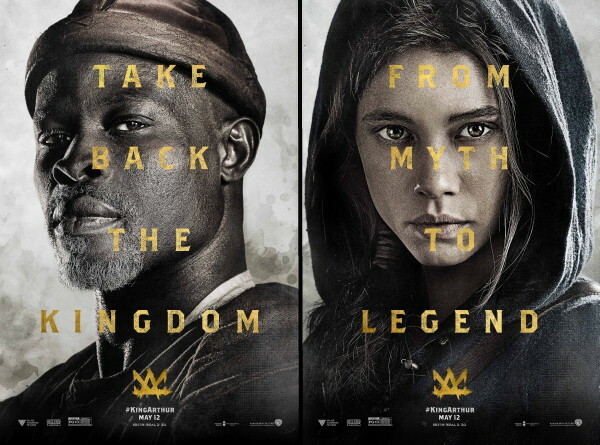 This is a new take on the legend of King Arthur and it is obvious within the first few minutes that it intends to boldly avoid cliché and revamp old themes without trepidation. 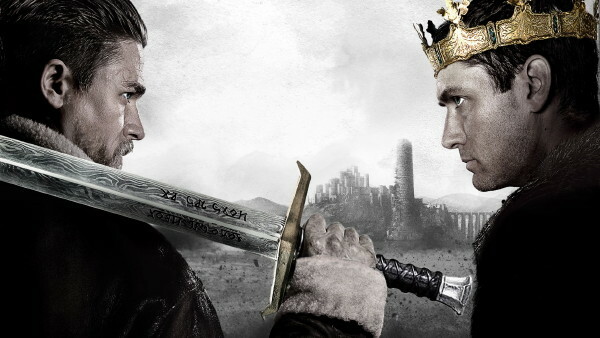 So, let’s get this stated early: if you’re a die-hard fan of the classic romance-era King Arthur as defined by Sir Thomas Mallory and popular culture, then this film may offend your sensibilities. It will do so with a smile and a cocky flourish, but it will do so anyway. If you enjoyed the remake of CLASH OF THE TITANS, then you may just find another sword and sorcery epic to love. Likewise, I found echoes of Neil Marshall’s olde-world-modern (as seen in CENTURION) within this. Now, to the subject. This film is jaw-dropping in scope and gorgeous in its truly epic use of fantasy themes to enhance a ‘king from the gutter’ origin tale. The ability to rise above personal tragedy to lead with (brutal) honesty is choreographed in style. There’s a lot of ground to cover and the film acknowledges the huge legacy of Arthurian mythos by cutting to the chase – we all know the legend of Arthur, so the bits of the film that relate to the obvious elements of that are sketched in quick vignettes or by oblique reference. While the opening scenes may seem uneven in pace, everything gels beautifully as things weave together. However, the handling of routine history, subquests and motivation in fast-paced rolling montages or flashbacks cut with current events may not be to everyone’s taste, but it gets the job done in style. And that’s the heart of this. One of the extras is even titled, ‘Arthur with Swagger’. Guy Ritchie has carved a new legend from the heart of the old, giving us a streetwise king who didn’t want the job, but, if he has to do it, he’ll do it like he’s done things his whole life – for the good of all. We see the start of the round table and a Camelot that is destined for glory again (yes, again — for details, watch the film). I hope this film recovers from its critical mauling, makes cult status, and Mister Ritchie gets backing for at least a trilogy. However, this film stands alone as a complete tale. Do see this glorious, epic film. It deserves your time and you deserve to see it in as high a definition as you can. Video quality is solid, but not enough to make this a reference disc. Likewise, the audio is crisp but not outstanding.